← Snakes 101 – An introduction to the Mighty Serpent. As a venomous snake fan, I’ve spent more than my share of time hiking, driving and poking around in the woods looking for rattlesnakes. 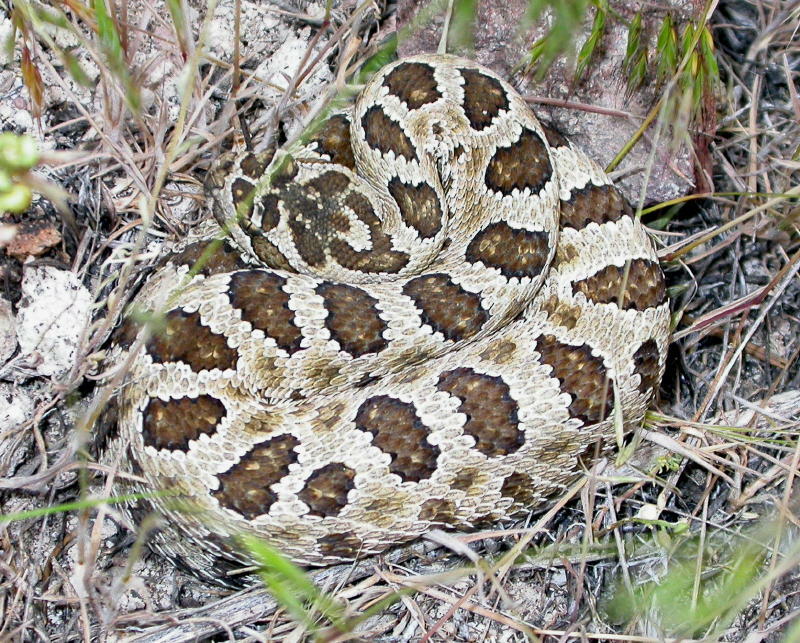 As a kid, I always hoped one day that I might be seen, on at least a small scale, as an expert on the topic and wanted to set out to find and identify all the different rattlesnakes that call our country home. The basis of my knowledge started in books and then made its way to the internet. I had read a wide variety of books, visited hundreds of websites and viewed countless photos of rattlesnakes prior to setting out to find them on my own. Surely all of this research would prepare me for accurately identifying any snake that happened to cross my path. 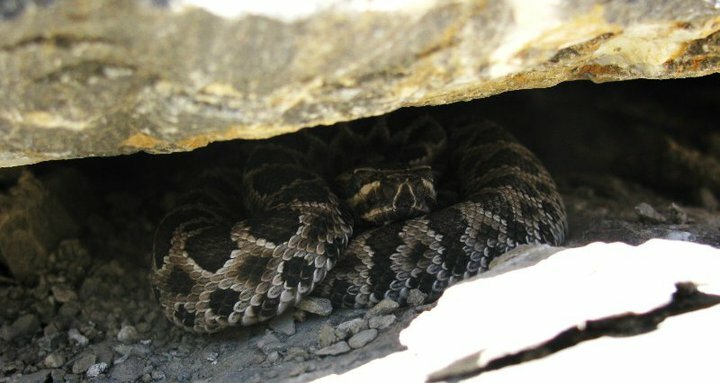 Little did I know, that Utah is prime habitat for one of most wildly variable rattlesnake on the planet! I must have seen nearly a dozen different buzztails, before I finally came across a couple that looked vaguely similar to each other. 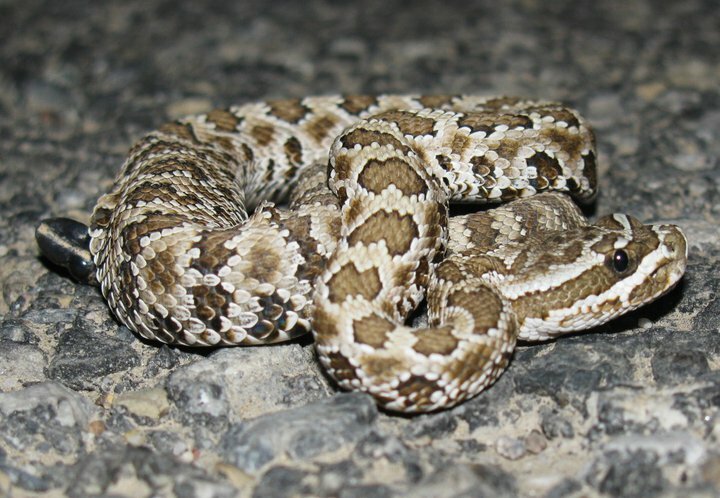 Because I had studied range maps, and field guides, and rarely set out without the companionship of a fellow snake expert, I managed to come to the conclusion that they were all Great Basin Rattlesnakes, but was constantly confounded by doubt, that I would ever be able to correctly identify these serpents unless I knew exactly where it was found. Thankfully, this frustration and confusion quickly turned to admiration and appreciation as I encountered each “new” looking specimen of what I would eventually come to affectionately call, “The box of chocolates rattlesnake”. Great Basin rattlers are, in my opinion, drastically under-appreciated for their variability and unique beauty. I now look forward to these encounters and anticipate the chance to add a new color morph to the ever-growing palette. Though I had seen a handful of these snakes prior to meeting up with Shaun Vought, it was with him that I was first able to document the species with a photograph on something other than a cell phone. It was also the first time that I ever touched one. Please note that this is a very bad idea! Your odds of getting bitten doing something like this go up dramatically. My excuse for catching this one with my bare hands, was that it was heading for very thick brush, and I did not have a snake hook or even a stick to aid in the capture. 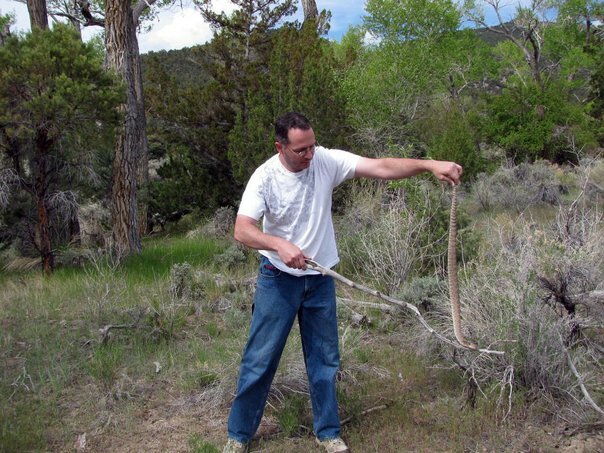 We were also doing snake research for Great Basin National Park at the time. However, after having officially “caught” my first rattler, bravado quickly overcame common sense, and I posed for the embarrassing “hero shot”. The much better photo is below. The last day of my visit to the park, I got to handle and process another rattlesnake we found, using the proper technique. This individual was a light tan color with light pattern. 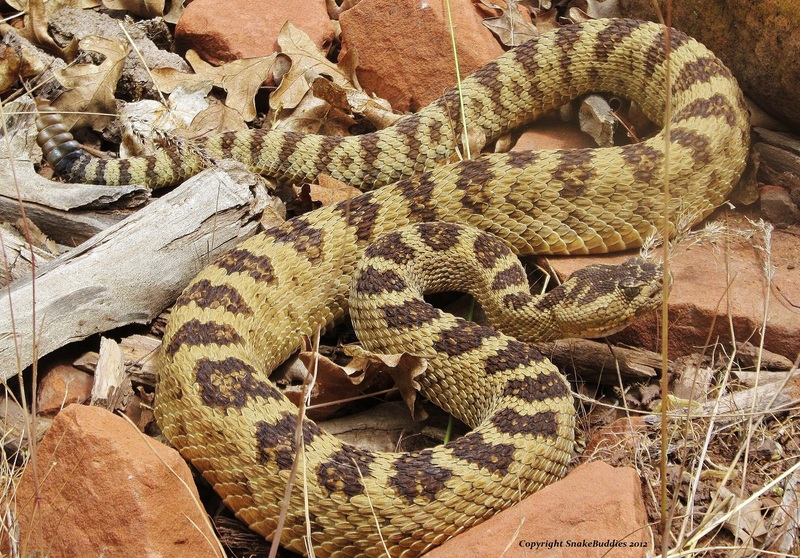 It wasn’t long after this encounter, that I finally purchased a new camera and went for a road cruise to find Utah Milk Snakes with another local friend, Jon Roylance. We came up empty on Milk Snakes, but we managed to find a handful of Great Basin Gopher snakes, and a couple of Great Basin rattlers. What this first one lacked in bold pattern, it made up for with attitude! 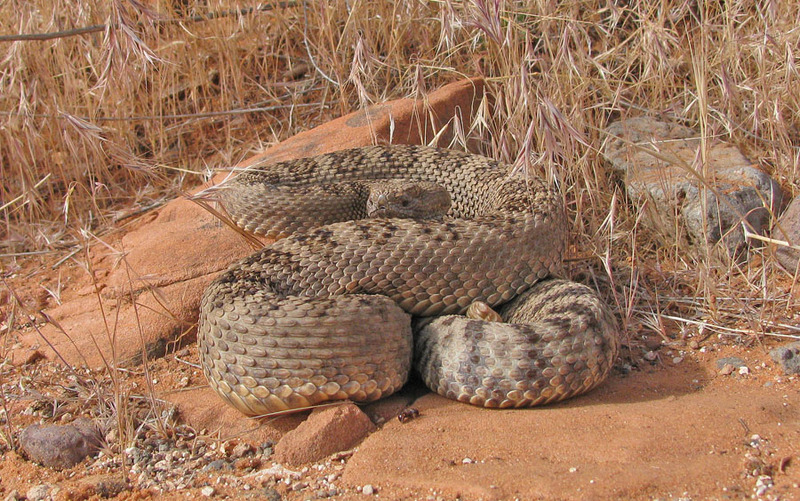 It was quite literally the first rattler I ever came across that lived up to the reputation most folks like to give them. Though it was not aggressive, it was certainly defensive. No more than a quarter mile away we then stopped to move this much darker and very relaxed individual out of the road. While down in Southern Utah, my friends and I came across this nice looking, silver Great Basin Rattlesnake crossing the road. While hunting for lizards on a Fall day, I made my way onto some private property and was granted permission to nose around a bit by the owners. No more than 5 minutes later, I heard the familiar tell-tale warning of a rattlesnake… then another… and then yet another. 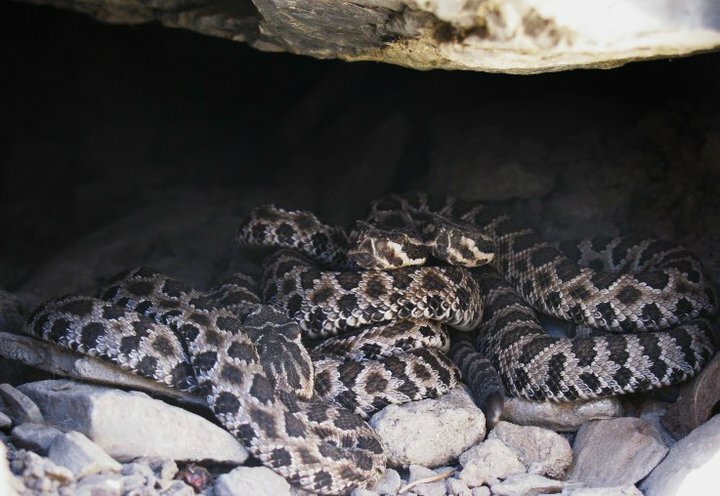 I’m not about to tell the owners that they have a very active rattlesnake den on their property for fear that they may decide to kill them, but enjoy checking in on my scaly friends from time to time. Since the den is in a rather sensitive area, I try not to draw too much attention to it, and don’t often take too many photos either. Over the last couple of years, I estimate that I have seen somewhere around 50 individual snakes at this spot, and even though they are likely all related, I have seen them in a wide variety of colors like yellow, orange, silver, brown, green, gray and tan!!! As avid conservationists, it is always a treat to be able to welcome the next generation! Below is an expecting mother, patiently awaiting the birth of her babies. Not long afterward, I was greeted by these friendly faces. 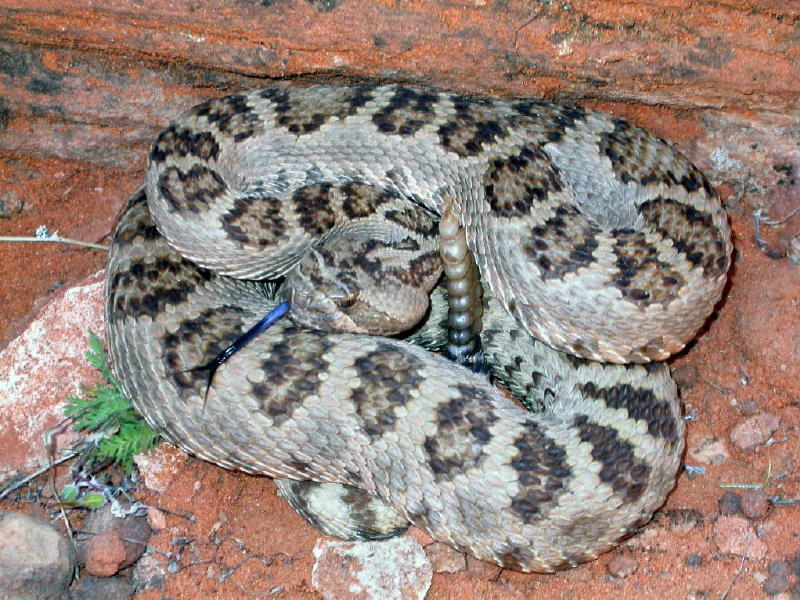 A common myth, is that baby rattlesnakes are born without a rattle. Although it is true that you can’t hear a newborn baby’s rattle, they are, as shown below, born with a pre-button to their rattle. 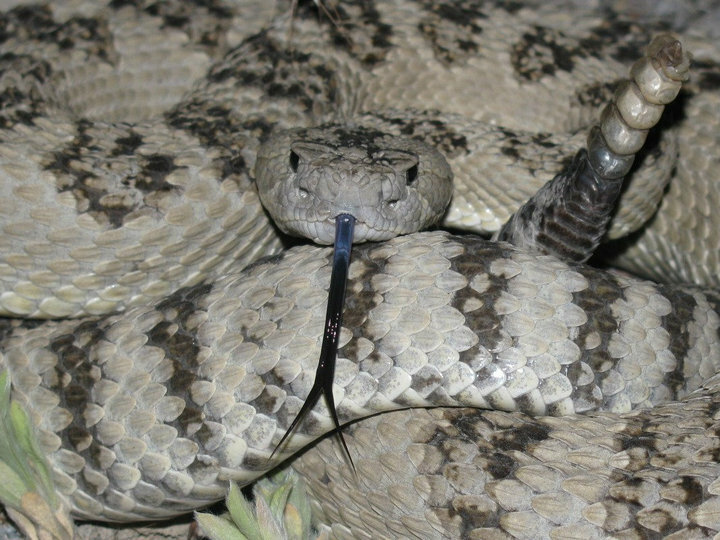 A few days after birth, the newborn rattlesnakes will go into their “blue phase”, in which their colors look dull and their eyes turn an opaque blue color. This is a sign that they are about to shed. Notice the blue eye below. Since a new section is added to the rattle with each shed, the babies will soon have their first button to add to their pre-button, and will then be able to produce the audible warning they are famous for. 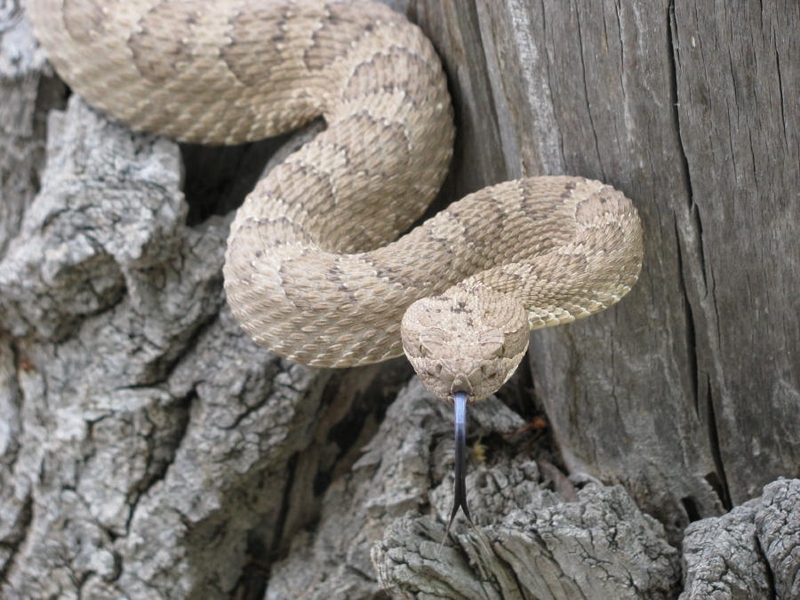 Though many rattlesnakes are killed by people every year, they can still be found somewhat regularly in some states, if you know when and where to look. Though I do target rattlers fairly often, it is not rare to find them when looking for other varieties of snakes as well. 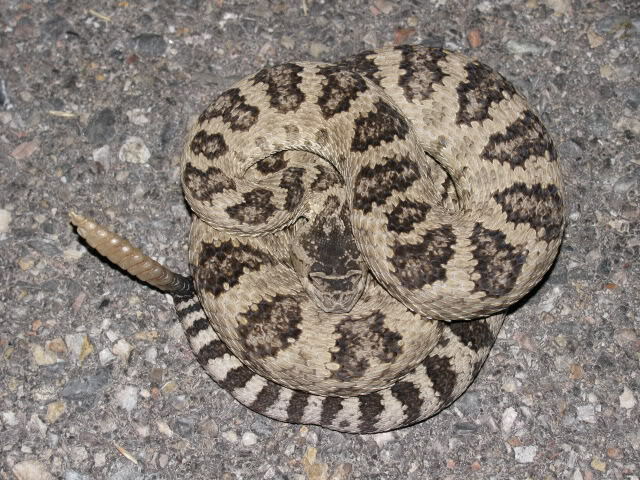 While on a recent road cruise one evening, my buddies and I located 3 Great Basin rattlers in the road. Each time we stopped to move them to safety, we were met with yet another “paint job”. Our first find of the evening was this large gray specimen. The second of the evening was this handsome brown specimen. 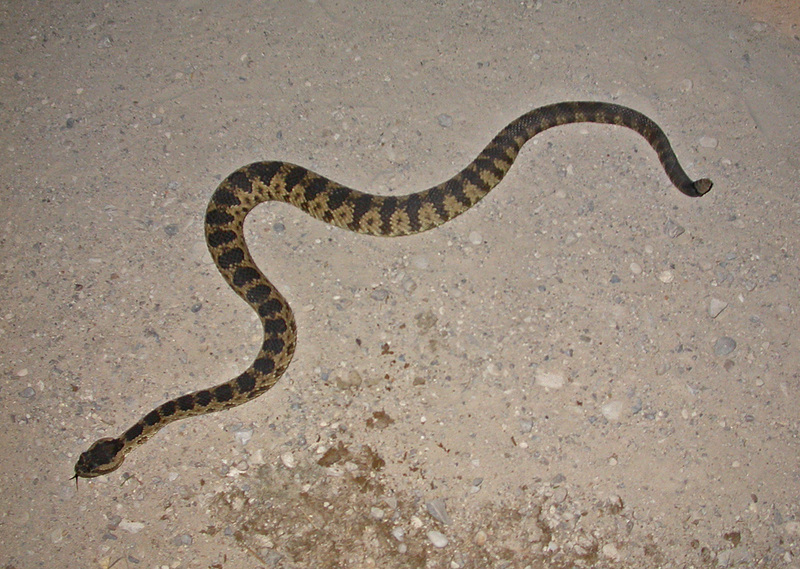 It was the third Great Basin Rattlesnake of the night that caught us the most off guard. When we jumped out of the car, we were only slightly more thrilled to catch the rare opportunity of seeing one of these creatures eat, as we were to find such a beautiful creamcicle colored animal. 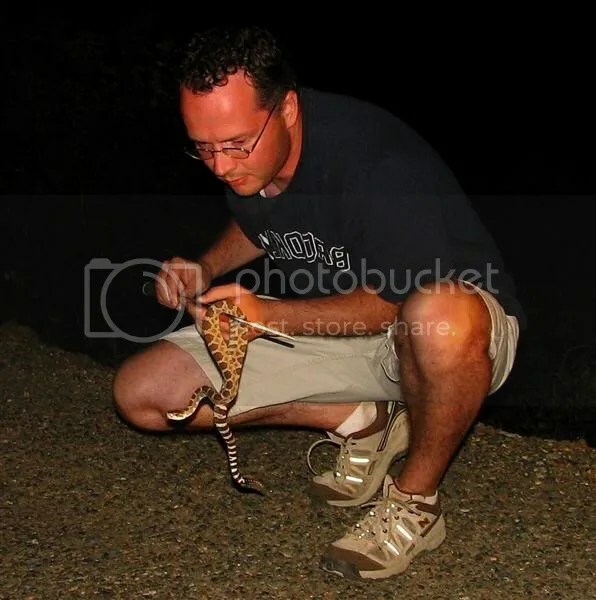 In 2012, I went through a bit of a job transition, and did not have a lot of opportunity, for field-herping. However, I did manage to get away for a day or two, and I was very pleased to stumble upon this very handsome, yellow specimen. I think we found some 20 plus Great Basins this day, but this was my first of the day, and the best looking as well. About a month later, I took my eight-year-old daughter road cruising with me. She is an avid snake fan, but informed me that the only snake she hoped she did not see, was a rattlesnake. We cruised up the little baby below, and she quickly changed her mind, and fell in love with the little snake. In addition to being wildly variable as adults, individual specimens of this species, can go through significant visual pattern changes from babies to adults as well. They often lose much of the contrast they have as babies, adding yet another dimension of variability, that makes finding different aged snakes, a pleasure. Fellow Snake Buddy, Shaun Vought, is also very fond of venomous snakes and often has a camera close-at-hand when he comes across a buzztail. The next series of photos were all taken by him, and I feel they do an even better job of highlighting the variability of these interesting animals. This first one, is a very yellow-green colored rattler with much more blotches and striping down its body than we typically see. This next one seems to be a younger specimen with very high contrast between the light beige background and the dark chocolate blotches. Next up is this rather old Great Basin Rattlesnake with an olive background and black blotches. It doesn’t necessarily make for an attractive variation, but it’s still always fun to see something a little different. 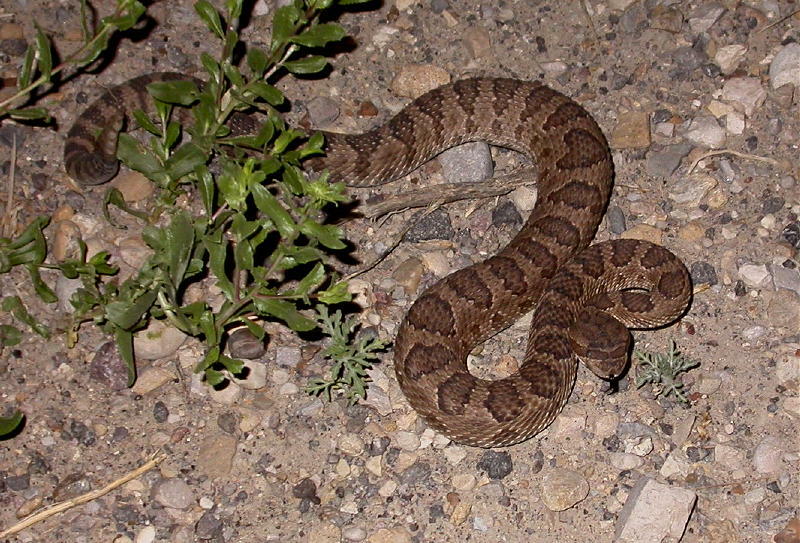 The following snake, is one of the odder examples of a Great Basin rattler I’ve seen. When Shaun first sent me the photo, my first thought was this it looks more like a Northern Pacific rattlesnake, but it seems to not exactly fit the mold there either. 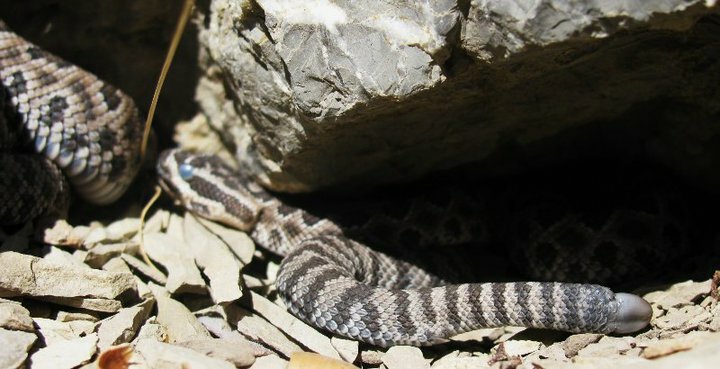 This photo was taken in Idaho where both species of snake do exist, and our best guess is that this specific animal may be a hybrid between the Great Basin and the Northern Pacific. Nice find Shaun! This next one is yet another unique looking Great Basin Rattlesnake. The blotches on this rattler are multi-colored. 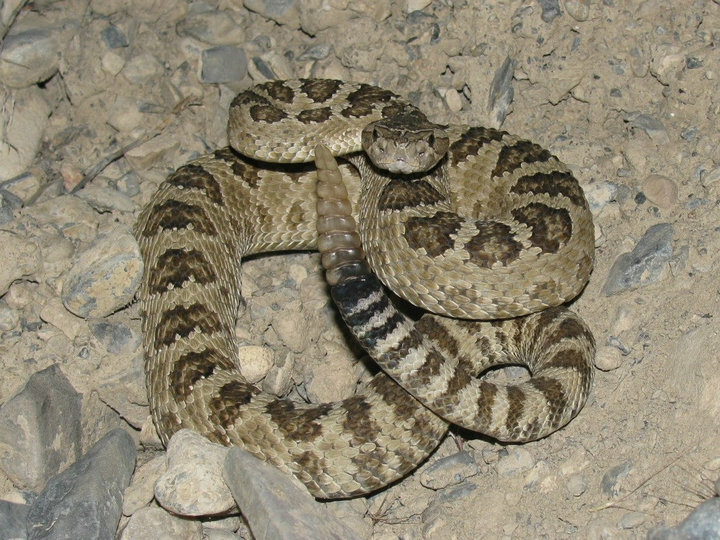 At this point, the term odd and unique fail to be good descriptors, as one defining characteristic of the Great basin Rattlesnake is in fact, its random appearance. Though Shaun and I have gotten better at our photography efforts over time, it could also be said that our photos sometimes do not do the animals justice. Such could be said with this reddish colored one, which is a variety I have yet to see for myself. Another uncommon variation I do come across from time to time, is this light green, low contrast example of a Great Basin Rattlesnake. 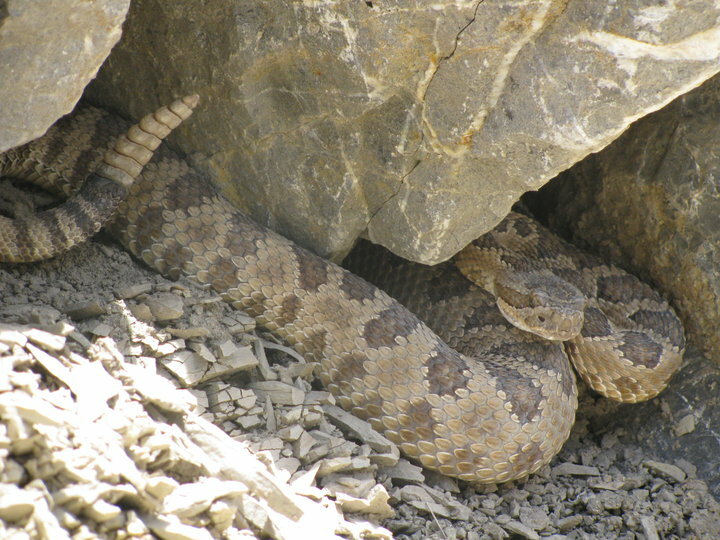 No matter what they look like, the Great Basin Rattlesnake (Crotalus oreganus lutosus) is always a welcome encounter. Their mellow demeanor and shy behavior make them among the least aggressive snakes I encounter. They are quick to crawl away if given the chance and are often difficult to photograph, as they want nothing to do with humans. 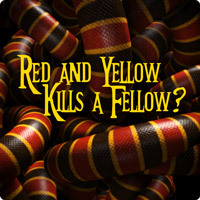 One goal at Snake Buddies, is to highlight all serpents for their great qualities, and to break through the common misconceptions, misinformation and blatant lies told about these great members of our natural world. If you have any questions, comments, photographs, or tales of your own to tell, please share them with us here. We’d love to hear from you! 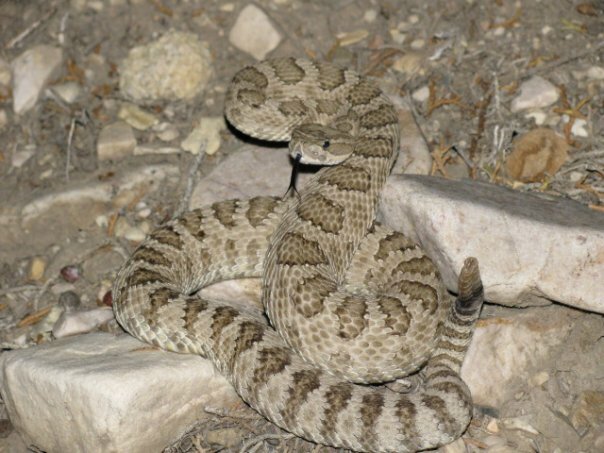 This entry was posted in Crotalus oreganus lutosus, great basin rattlesnake, rattlesnake, Snakes, variability, venomous and tagged Crotalus oreganus lutosus, Great Basin National Park, Great Basin Rattlesnake, Rattlesnake, Snake, Utah. Bookmark the permalink. 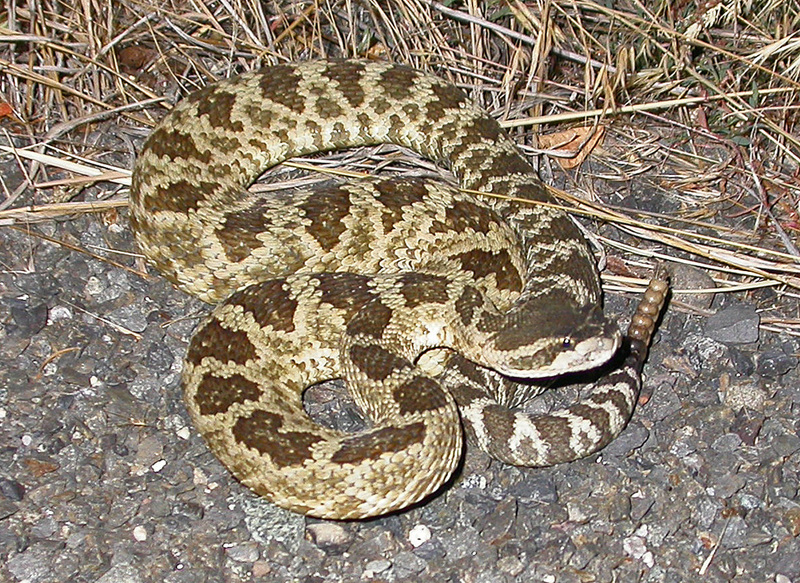 I’ve had quite a few run-ins with rattlers here in Northern California. Several were in the Sierra Nevada. While backpacking through the Trinity Alps we saw multiple rattlers everyday, and I was amazed at the varying colors — anything from your usual brown to greens and tail patterns that almost looked like a California king snake. We were nervous at first, but towards the end we were so accustomed to the rattling of snakes as we passed them that we didn’t blink at having to scrape them off the trail with sticks, despite their noisy protestations. That’s an interesting account RW. 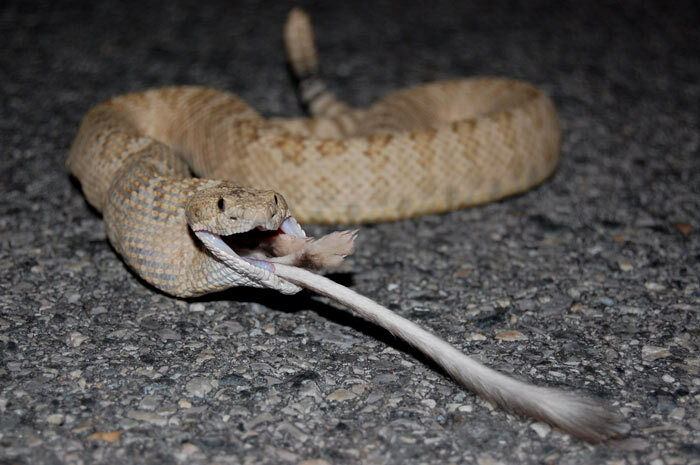 In Northern Cal you will run into Northern Pacific rattlesnakes as well as Great Basin rattlers (the ones I highlighted in my post), which would account for the variability you were seeing. As with all the misunderstood critters you highlight in your blog, snakes become much less frightening, the more we observe and learn about them. I move around 50 rattlesnakes off roads and trails each year, and have never been close to getting bitten. The vast majority would rather scoot away than confront anything bigger than a mouse. Thanks for the comment. I enjoy your blog immensely. Keep up the great work! found many great basins over the years, from Idaho to calif, love these guys! I hear tell that the mojave green rattlesnakes are really aggressive — but I don’t think they’d be up as high as Mendocino, though. Interesting! 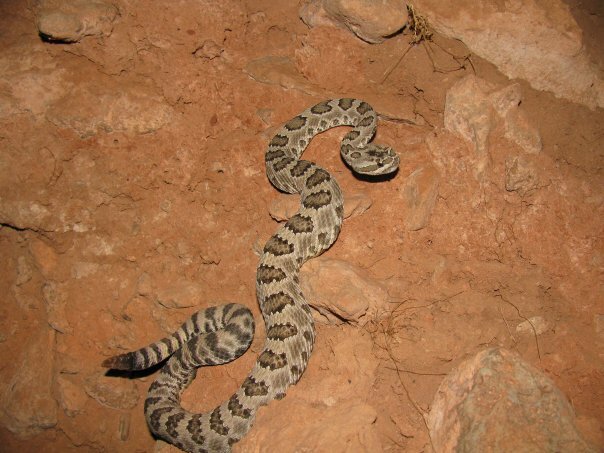 We’ve heard that too, but honestly our experience with the ones we have found, is that they really don’t seem much more or less feisty than any other rattler. Their venom can be extra feisty though, so it’s best to admire them from a distance. Thanks for the comment. 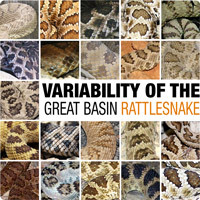 Hi, this is an iteresting collection of images and information about Great Basin Rattlesnakes. I had a close encounter with a rattlesnake this week and hoped you might be able to help me with the ID on it. Could you take a look at http://www.onthewingphotography.com/wings/2011/10/15/close-encounter-of-the-snake-kind/ ? I’m not very knowledgeable about the different species & subspecies. Thanks for the comment on my blog, Mia! I did take a look at your blog and photos. The identity of your serpent, is a Midget Faded Rattlesnake. Shaun and I found a few of them this Summer down in that area as well. I love how muted their coloring is! Thanks for sending me the link! Thanks so much for the ID Jamison, I think it is a beautiful snake, especially the eyes. know this is an older thread, but it’s new to me…these animals are among my favorites….living in NO CA (El Dorado County) we see a lot of the C o oreganus, and yes, there is quite a bit of variability within the whole viridis/oreganus complex although geographically in our immediate area most of what I have seen looks fairly uniform. The lutosus intergrade zone is generally northeast of us living here on the western slope and as a hobbyist I probably would not recognize such anyway! I labored for months on a research project trying to ascertain whether the lutosus could be found here in El Dorado County at all and folks could only speculate the possibility of their presence in the Tahoe locality (CA side at this latitude and in or around Tahoe Basin) until finally a biologist with access to the extensive Berkeley collection verified a few specimens collected in said region although I was never made privvy to exact spot of collection, so perhaps a bit of the mystery still remains…whether they actually breach the summit or not I still do not know! Beautiful creatures one and all in any case. Maybe someone who studies them more intensely can share their findings and demystify further! Again, I am just a hobbyist, hence no formal academic training…and not that I encounter the oreganus daily, but living on rural property–and having had populations of the norpacs on our property in the past, they are always a treat to encounter–although I generally cannot share that opinion openly for fear of being looked at very strangely! Always enjoy your pictures & very positive, viewer friendly perspectives although have never commented until this evening. I envy your mobility, since I, as a new grandmother and with a few of my own young’uns still at home–well, most of my herping is done either online, within a few miles’ radius of our house or through adoring my own captive collection of scaly critters. I am glad to see other folks making use of their freedom to travel! 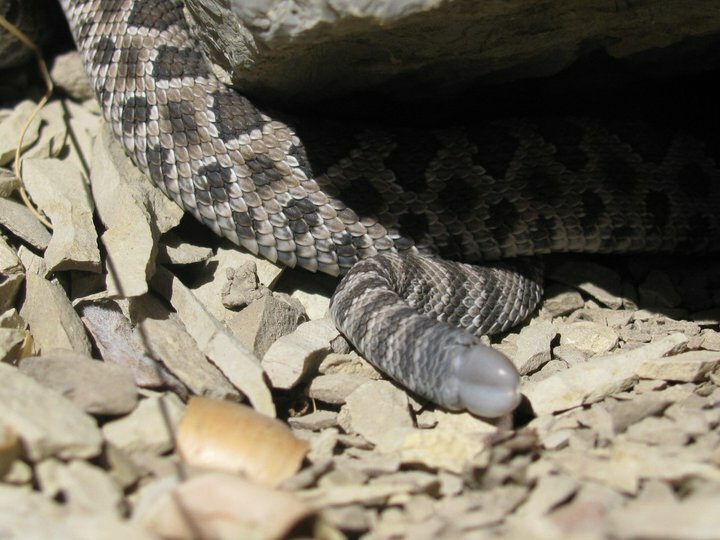 Now lastly,–and I do not seek to give you counsel–but one thing you might want to clarify–and perhaps I misread statement–yes, rattlers are born with a single rattle segment–the “pre-button,” but on the single occasion of the *first* shed, the prebutton IS shed and the first true button takes its place, which of course is thereafter added to. So in theory, you probably would not observe multiple segments until after the *second* shed, if that makes sense. Keep up the good work!!! Thanks for the comments, Lynne! Northern Pacifics are great, and do vary a great deal from locale to locale, but the lutosus typically vary a great deal more within specific locations. The photo above is one of my favorite variations of the Norpac. The last 3rd or more of their body is heavily banded, and very high contrast. They stay a bit smaller in this spot as well, adding to their dimension of “cuteness”. If I kept rattlers, one of these guys would certainly be in my collection. I also like the light green ones I’ve seen from Northern California! They are pretty snakes, with a fairly pleasant demeanor (most of the time). I do appreciate your distinction regarding the rattle as well. That is something I should reword a bit. It sounds like you’ve got a pretty full plate, with kids and grand kids. Getting out to see these animals does require a lot of time, planning and expense, but I love it dearly. I must admit, however, that as my kids get bigger, and more involved in their lives and activities, my snake trips have become a little less frequent. I feel lucky that I have a job that requires travel, and I make an effort to get out after work hours and find some of the local snakes in the areas I am visiting. Thanks so much for visiting my blog, and commenting on it, even though I haven’t had the time to write any new articles in a long time. I hope that folks still find the information useful, and at least enjoy some of the photos. Hi Chase. We’re glad to hear that you are passionate about conservation. Protecting these snakes is a top priority for us also. We’ve spent a far amount of time in Arizona, and have found lots of fun animals, so unless we come up empty, we’ll let you hang on to your secret spots. Believe it or not, we value the secret spots of our fans, and prefer to keep them a secret. Too many people head down to Arizona with collection on their minds, and too many animals are being poached. Do remember that even as a citizen, you are required to purchase a permit from the state to collect herpetofauna. As for giving you pointers, education is key. 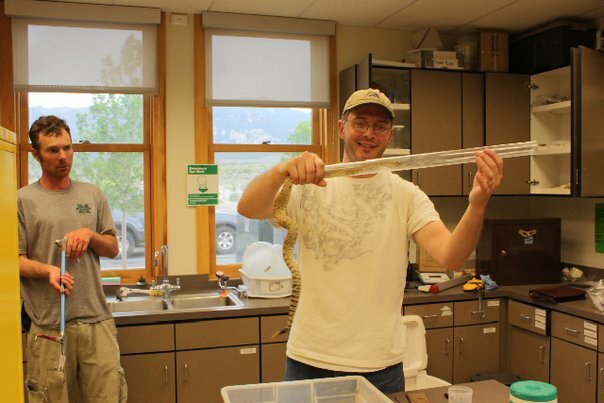 Herpetology courses would not be a waste of time at all, and quality venom labs are typically run by people with a ton of experience and post grad degrees. You could possibly get your feet wet as a volunteer at one of your local zoos. I would also encourage you to look up the Arizona Herpetological Association at http://www.azreptiles.com for some local resources. Best of luck to you, in your endeavors, and we’ll hope to cross paths with you down the road. 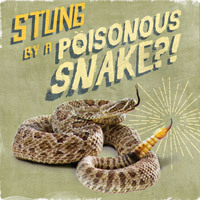 When you see my e-mail address you’ll know that i love rattlesnakes. I used to manage a store in the south bay called “The World of Exotic Reptiles”. 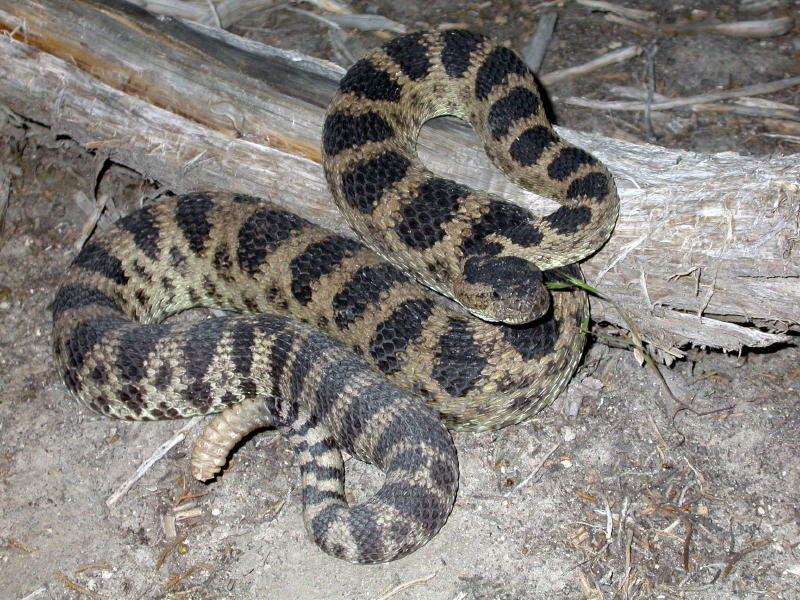 I had a young Great Basin rattlesnake for a pet. I live in Winnemucca, Nv. now and have had a hard time finding any because most people that run into them kill them. It’s that primordial fear that people have concerning snakes. I’ve been bitten by a lot of snakes but it was always my fault and none of them were poisonous. 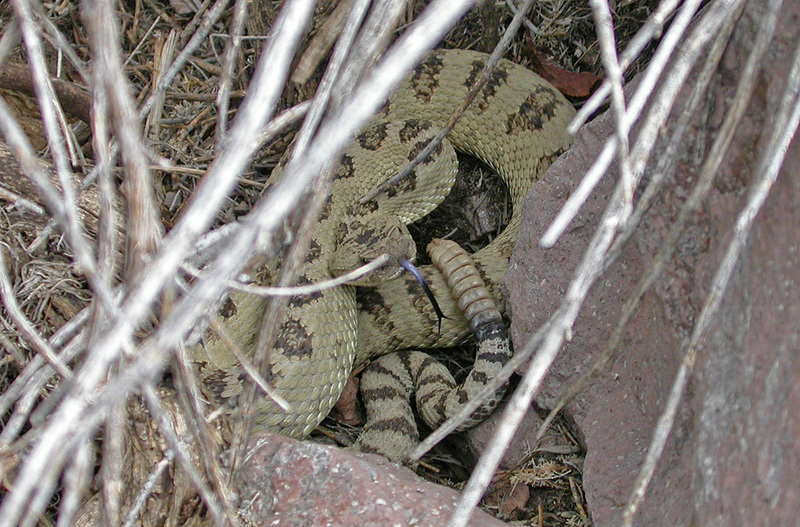 I have found some rattlesnakes to be a lot more accepting of intrusion than non-poisonous snakes. I’m going to keep looking and hope to find some interesting color morphs.